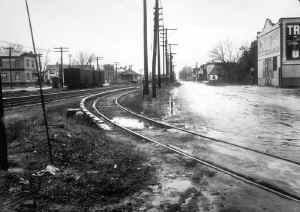 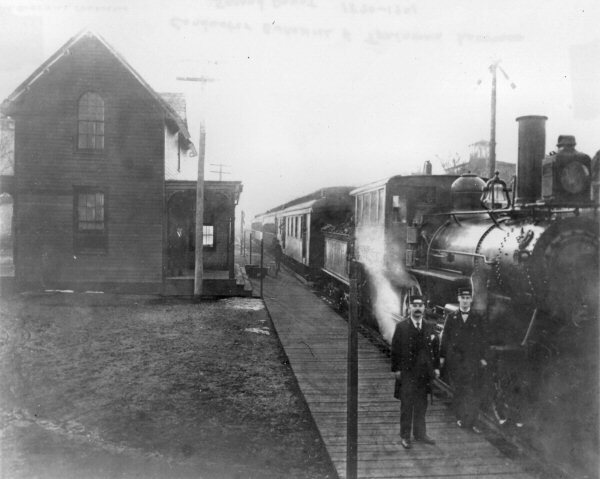 SSRR service began on 10/28/1867 as Wellwood. 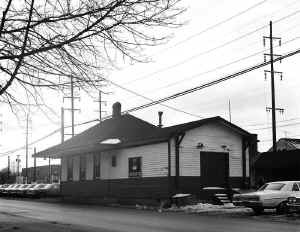 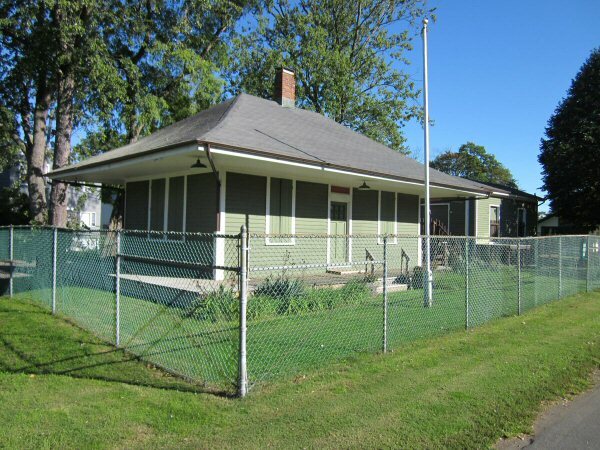 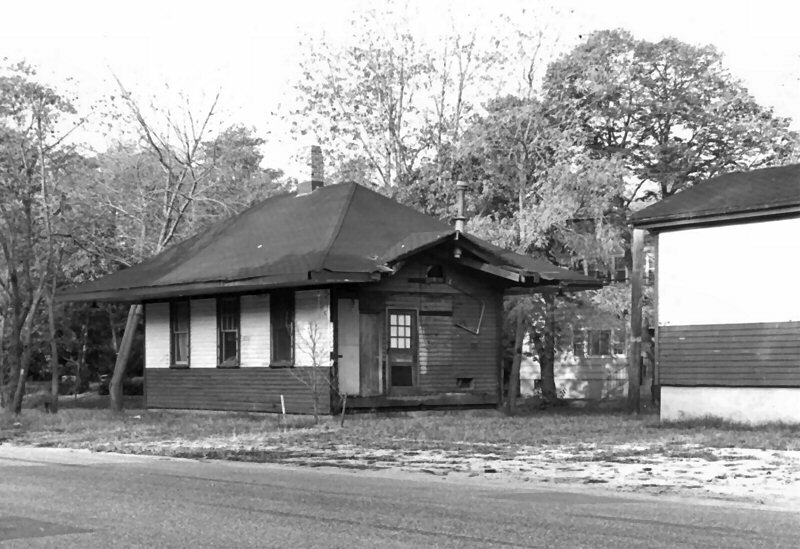 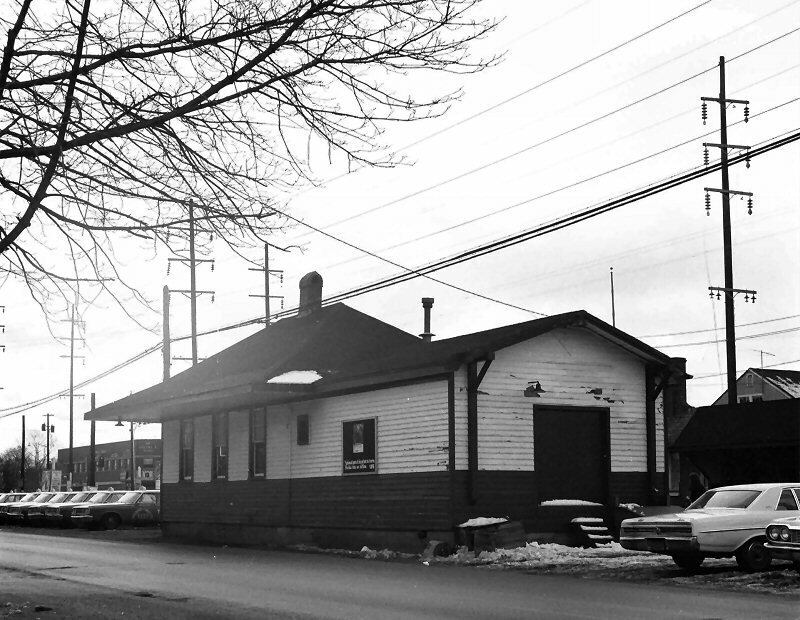 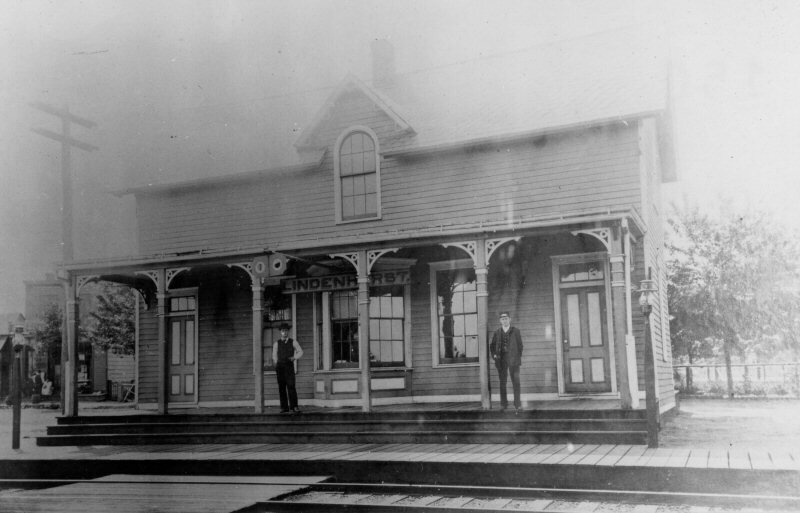 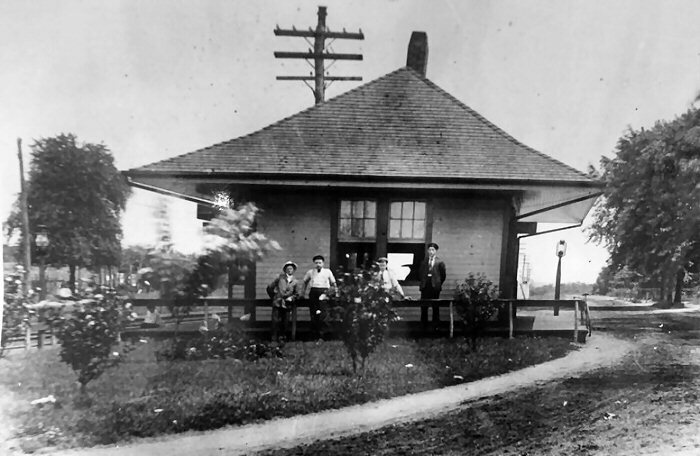 The original two story wooden depot with front verandah-style covered platform and porte-cochere at rear was built on the south side of the tracks and east of Wellwood Ave.; renamed "Breslau" in 1869. 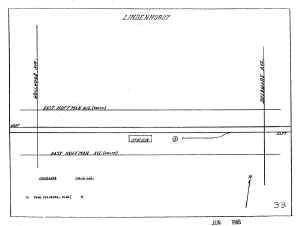 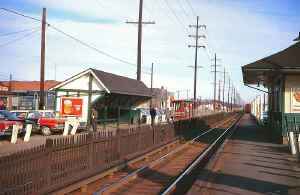 2nd depot privately built 25 feet north of original depot site (across tracks on north side of the tracks.) 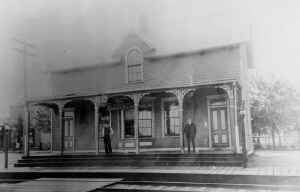 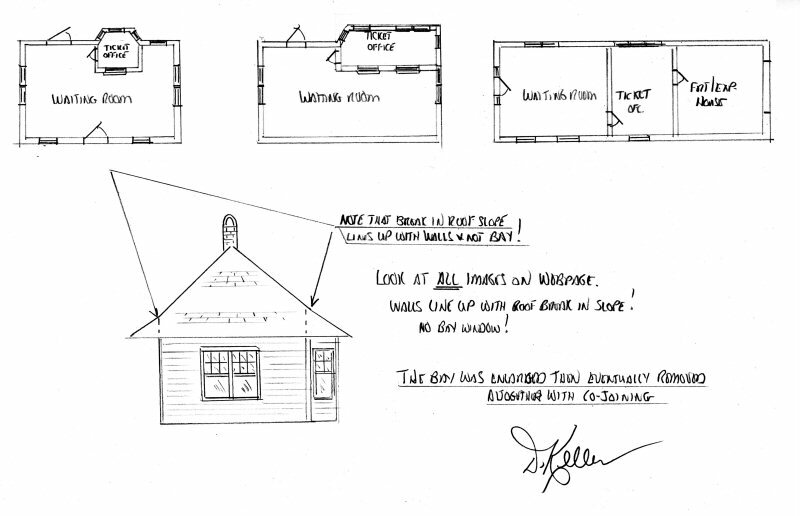 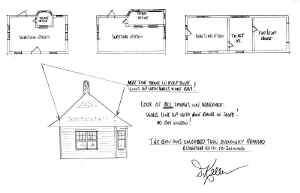 The two story wooden depot had agent's living quarters upstairs and the post office at street level. 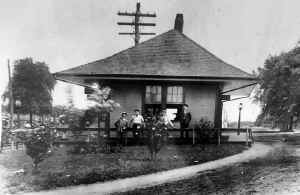 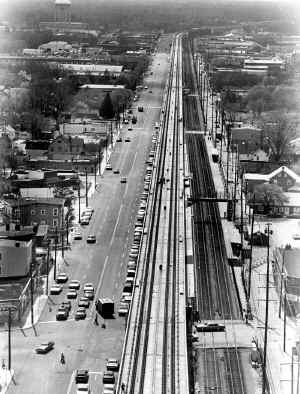 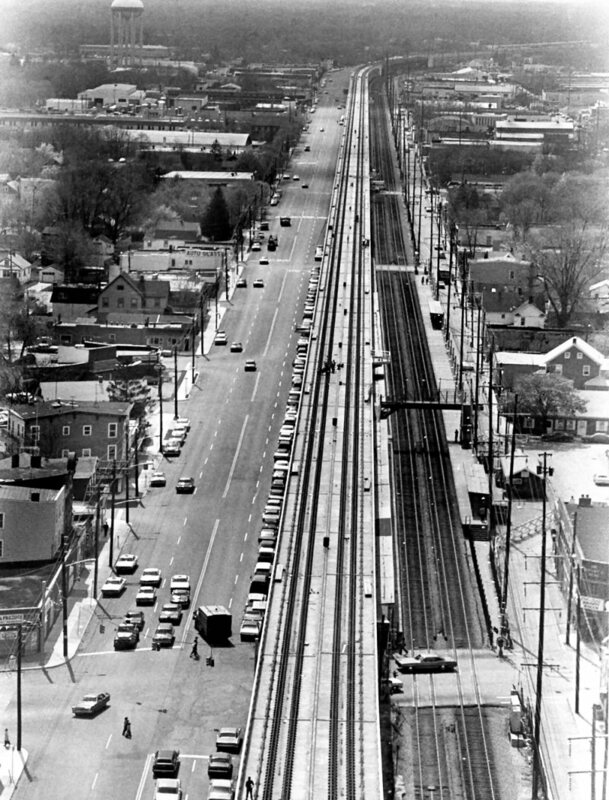 It was opened in time for the June 6th, 1870 festivities for land sale and development of Breslau. 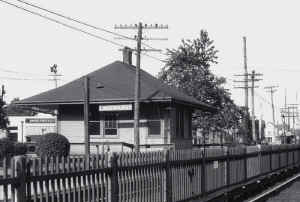 SSRR gave a terrible performance at the festivities and received such scathing reviews from The Brooklyn Daily Eagle that it's believed the offer to give the SSRR the depot was cancelled and moved off-site within a few months to become a much-needed school which opened on 12/12/1870, but was found to be too small and "would be replaced soon" (Bayles, 1874). This 2nd structure became a fire house. 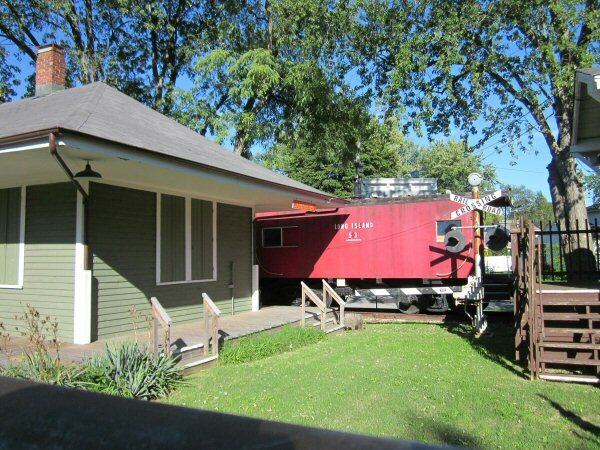 The original 1867 depot remained in service on its original site. 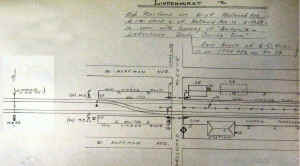 Church services were held there on Sundays ("South Side Signal" of 12/7/1870 - courtesy of Art Huneke). 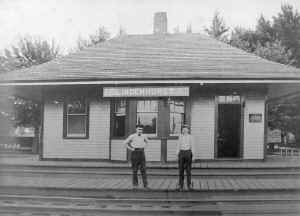 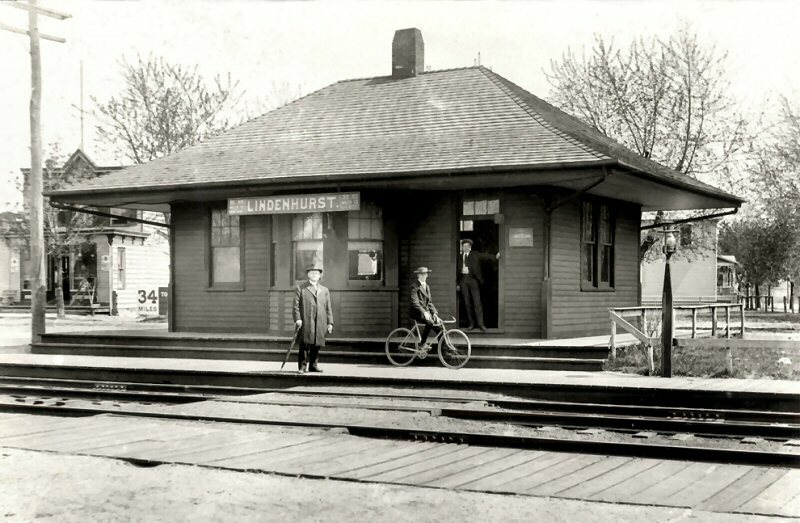 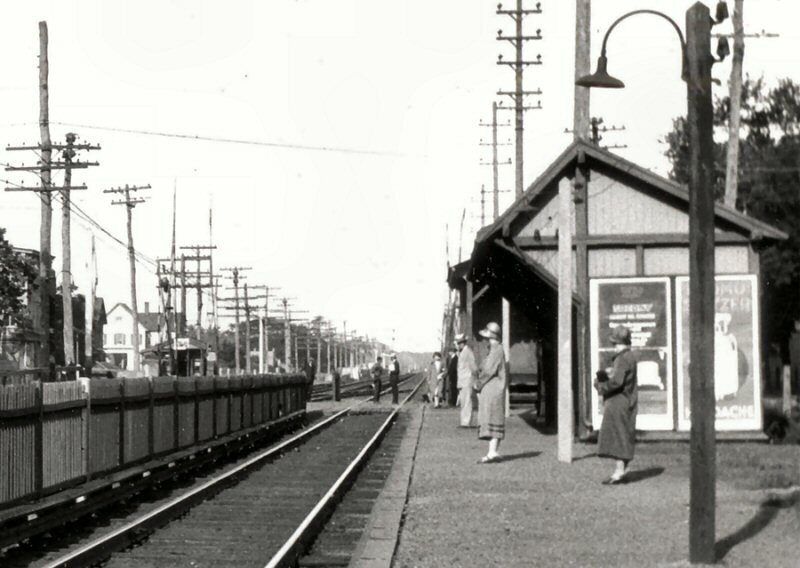 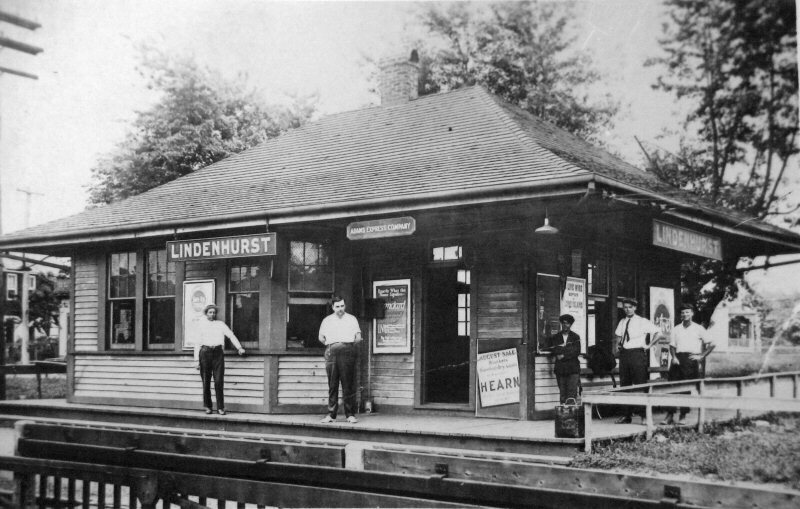 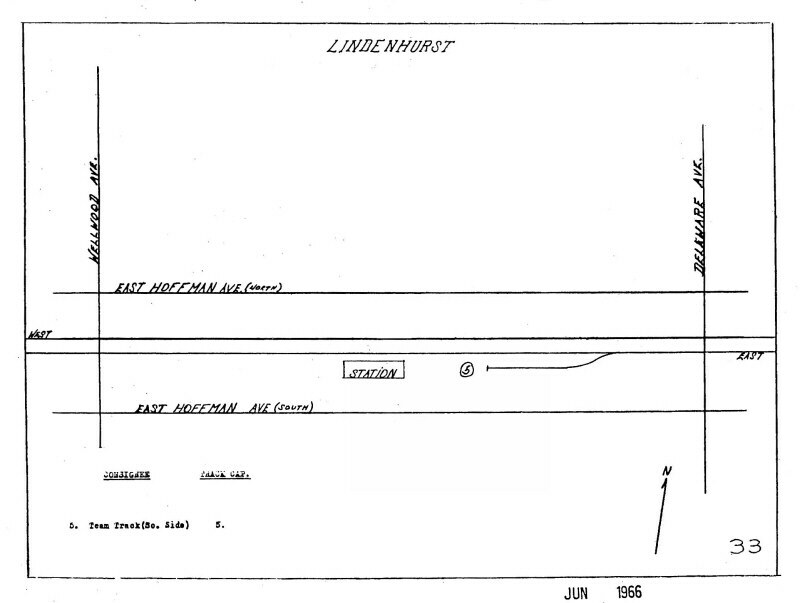 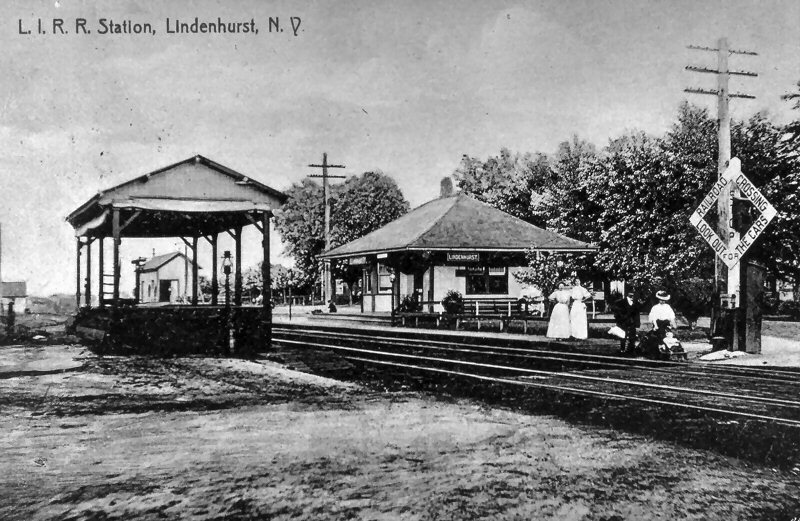 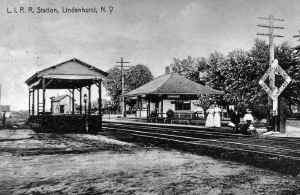 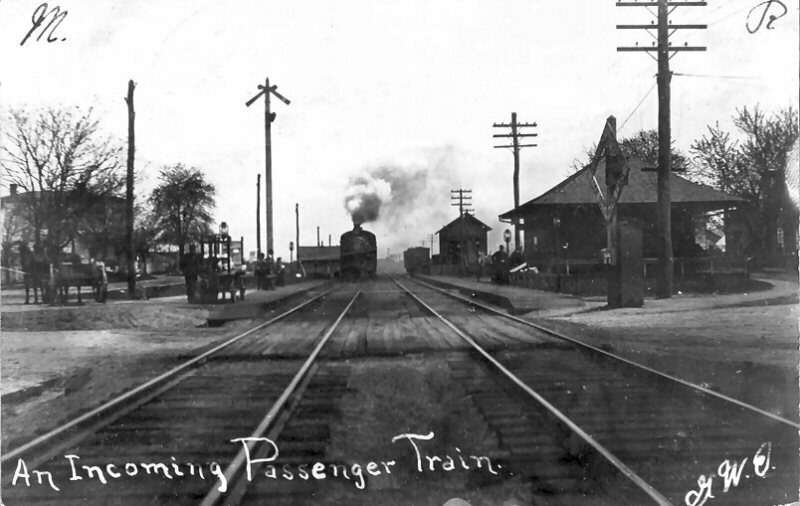 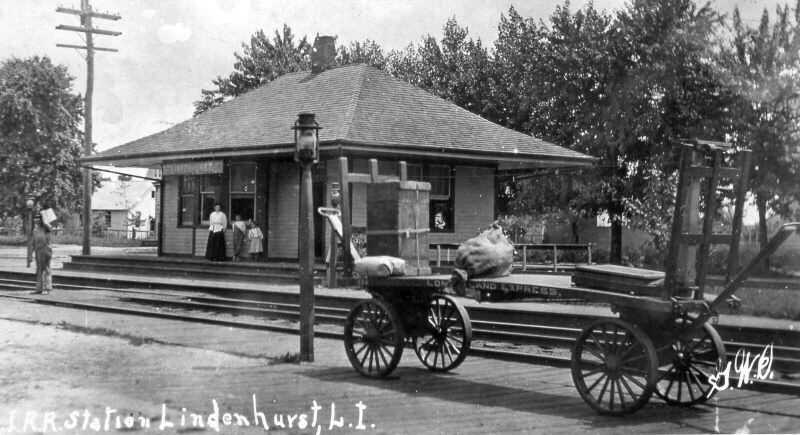 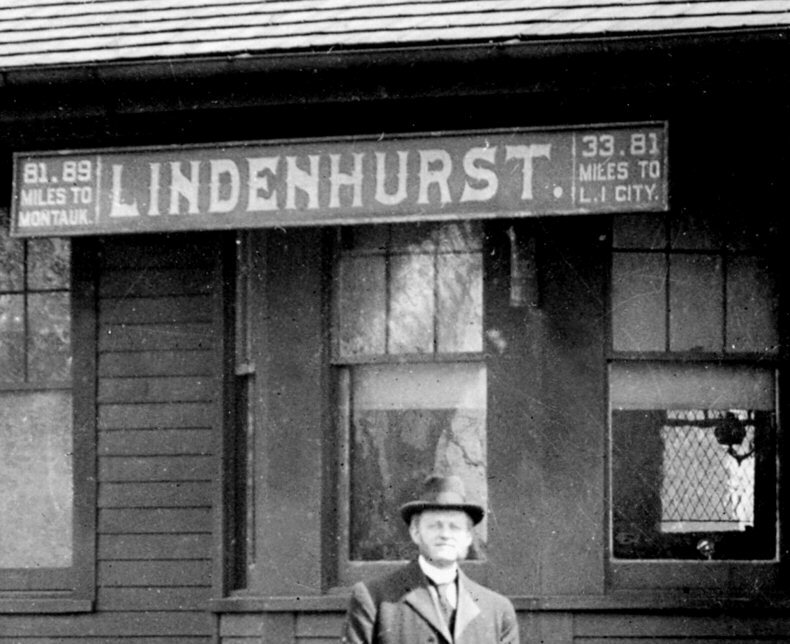 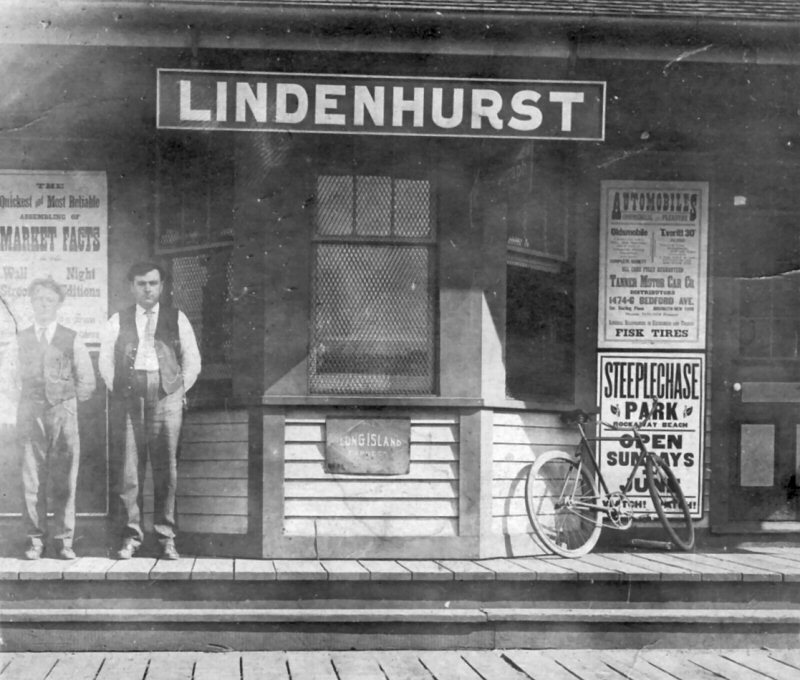 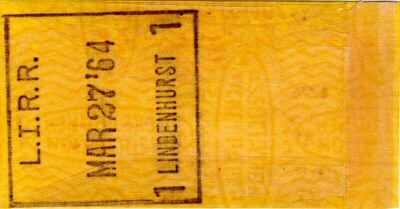 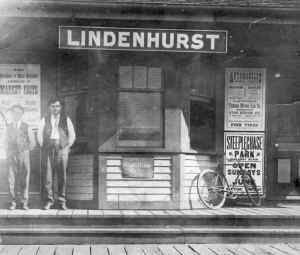 Station name changed to "Lindenhurst": 1891 with the ticket bay extended the full width of the verandah-style platform. 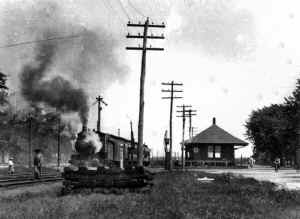 The depot was destroyed by fire on 1/22/1901. 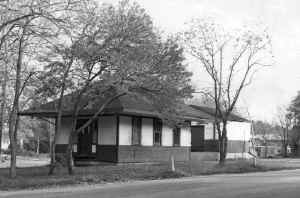 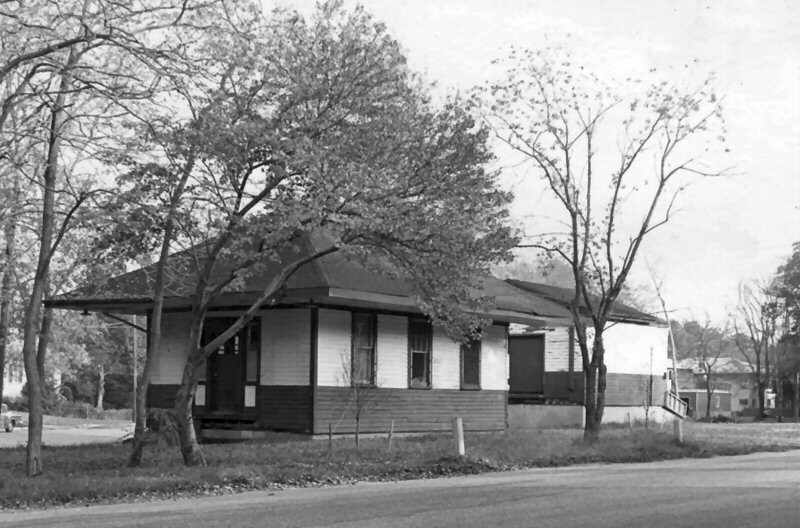 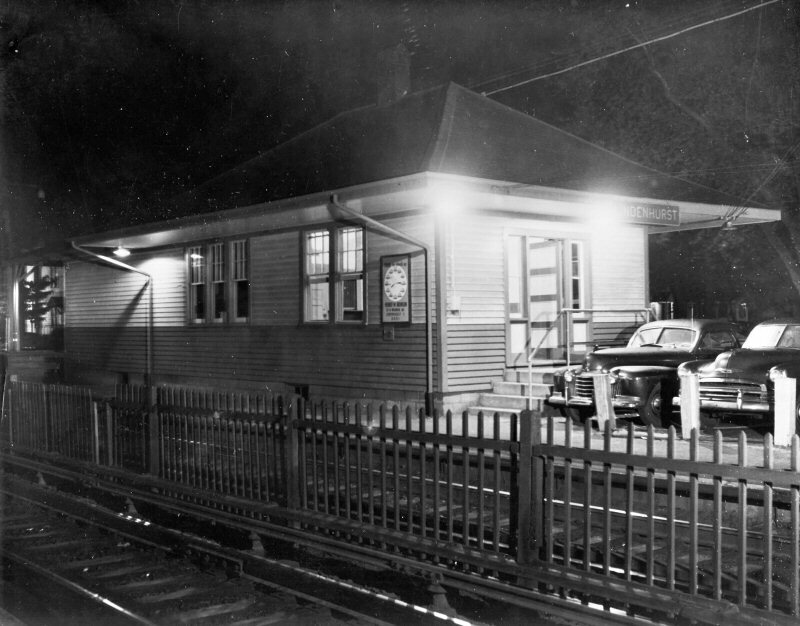 Temporary quarters established in Pearsall's Barber Shop and the freight house for several days until a combine car was placed on siding serving as ticket office and waiting room. 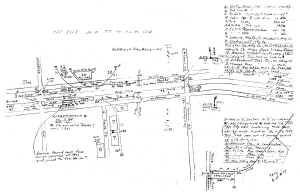 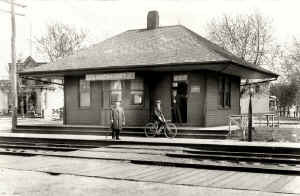 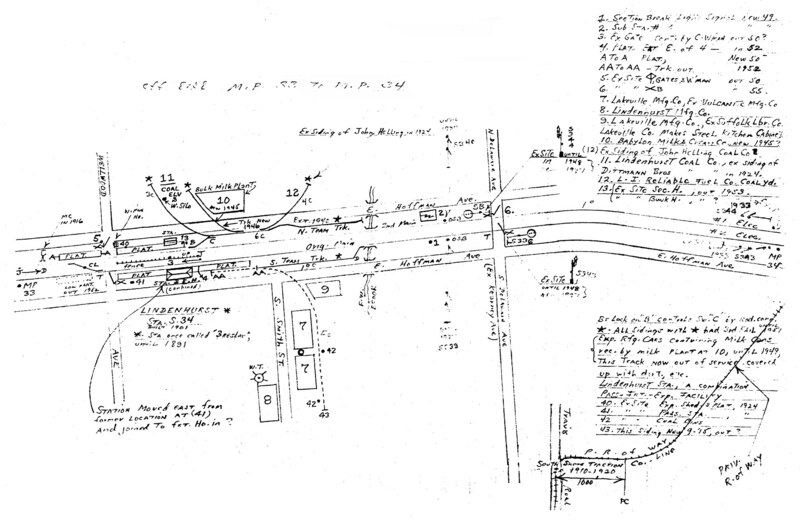 3rd depot built on south side of tracks, slightly east of the former depot and placed in svc: 3/23/1901. 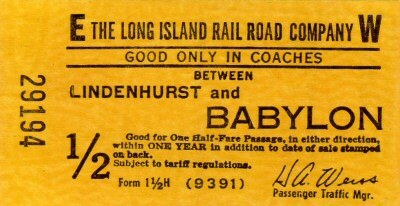 The ticket bay window was enlarged. 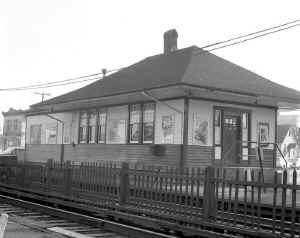 The depot and shelter shed across from this depot moved further east: c. 1926 (Bob Emery) to be joined with freight/express house which had been shortened by 1/2 its original length. 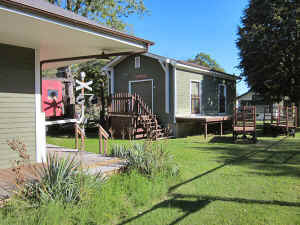 The depot was remodeled and ticket bay window removed. 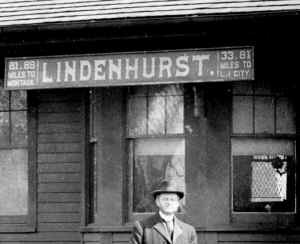 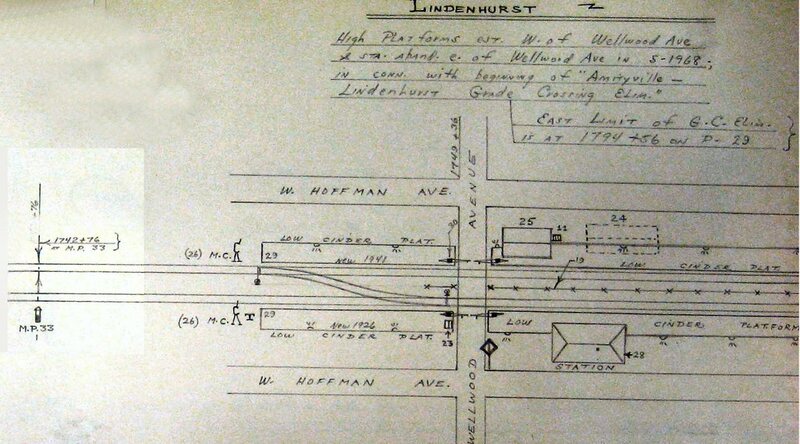 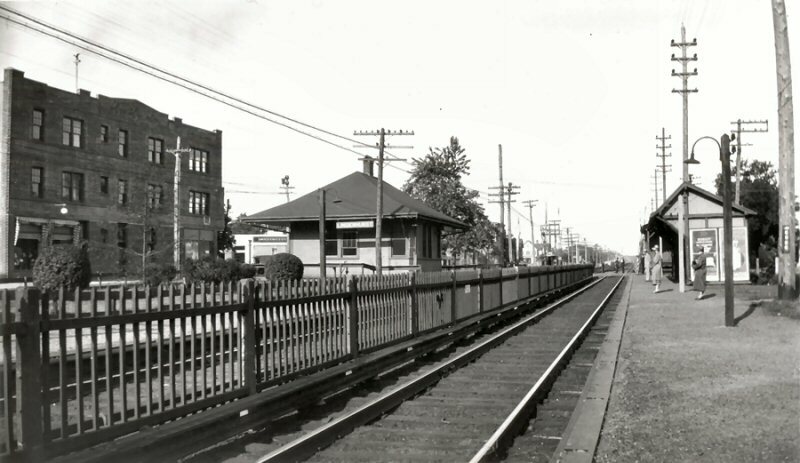 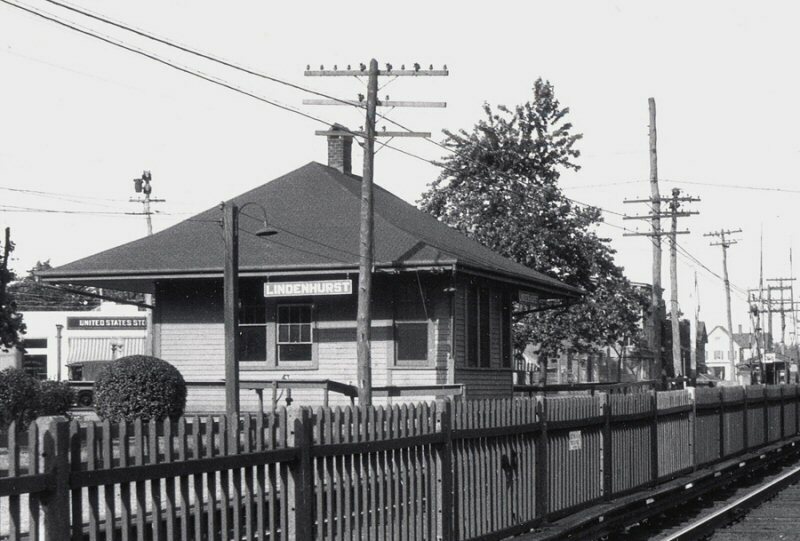 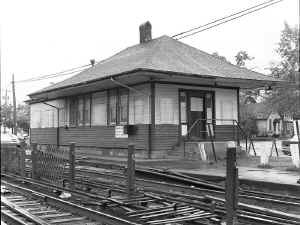 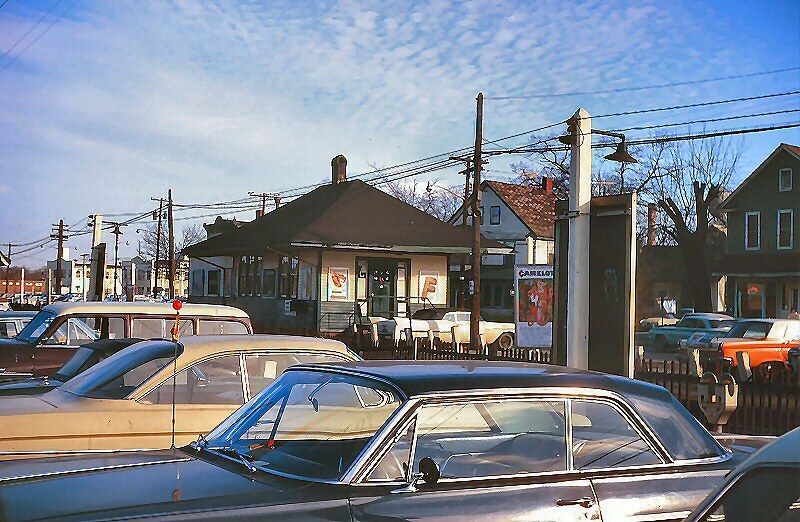 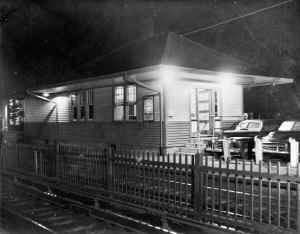 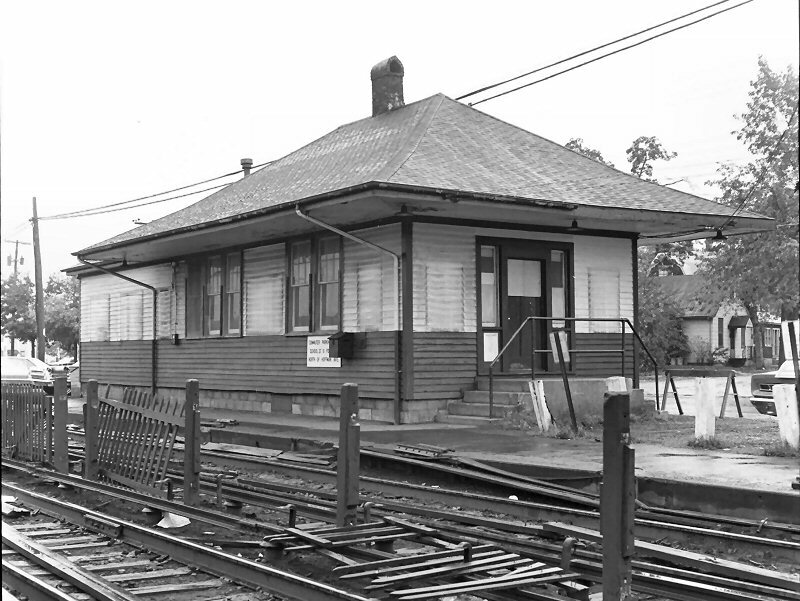 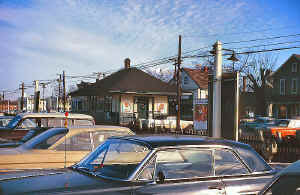 Donated to the Lindenhurst Historical Society by the LIRR in 1967, but remained in use until 10/25/1968 when the depot was closed due to the grade elimination project and moved to nearby Irmisch Park.